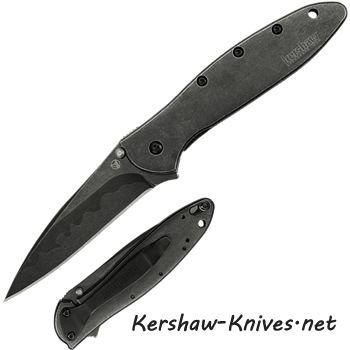 Kershaw Composite Blackwash Leek 1660CBBW. 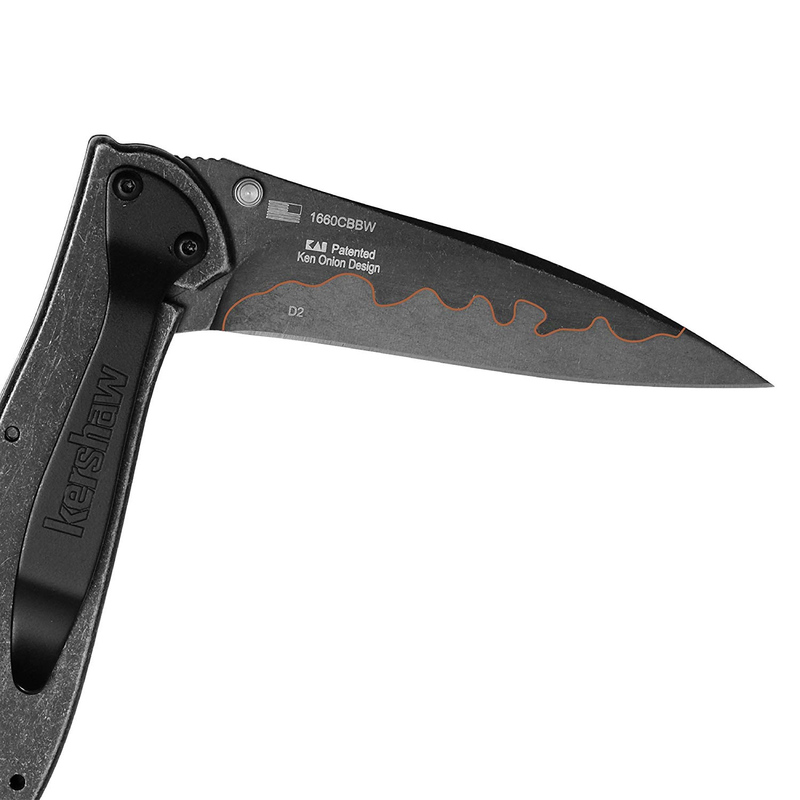 Kershaw has gone and covered both the blade and handle completely in a Blackwash finish, so you will not be able to see any scratches on this knife at all! Then they have put the high grade of steel that is razor-sharp D2 on the cutting edge and then in a nic swirl fashion the metal changes to a Sandvik 14C28N steel on the spine. So the expensive steel is on the cutting edge where you need it most for the best performance and then it helps to keep the costs down for this knife. 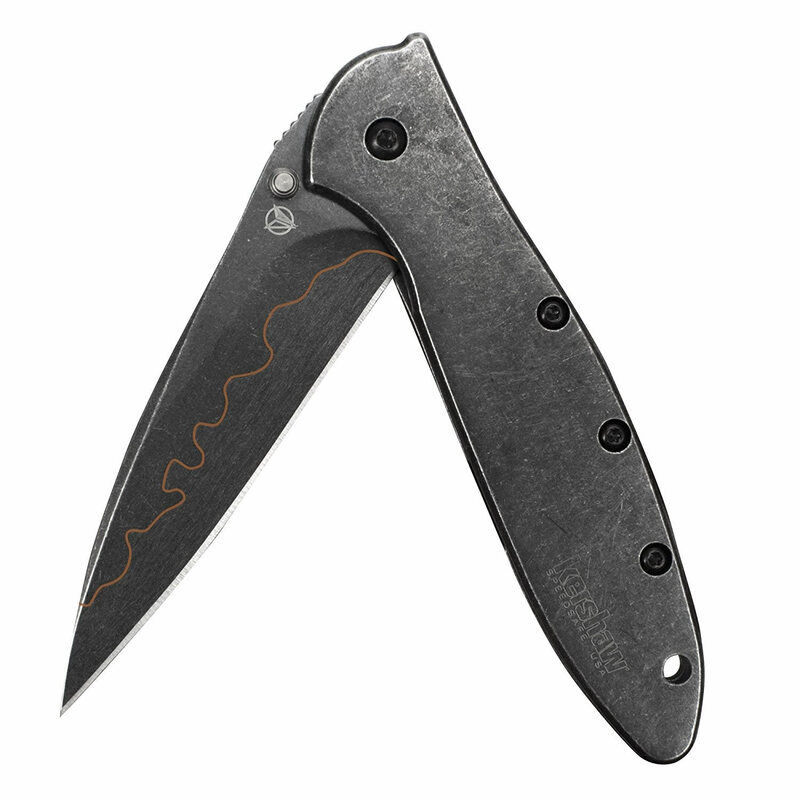 The pocket clip is also stone washed finished and can be changed from tip up to tip down. Frame lock system. Lanyard hole on handle with a tip-lock slider to prevent the blade from opening unexpectedly. This leek has it all!